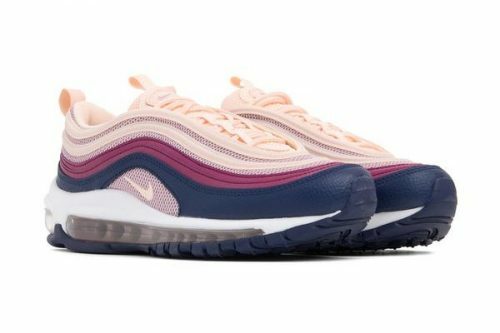 Just in time for Spring, Nike has just dropped the Air Max 97 in a sleek “Crimson Tint/Plum Chalk”. This time around the sneaker sees a textured mesh upper in a blush pink hue, with premium leather overlays covering the silhouette in dark blue and plum tones. 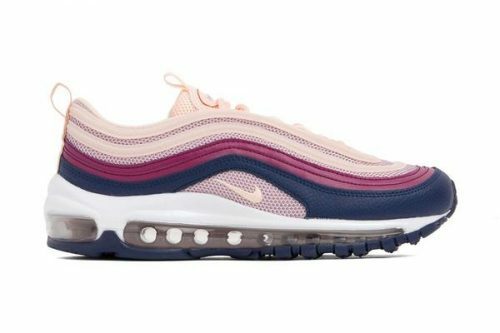 If you’re looking to add the spring-ready Nike Air Max 97 “Crimson Tint/Plum Chalk” into your kicks collection, cop it from Feature and get it shipped back via Buyandship!